Salman Alhajri is an Omani lecturer at the Department of Art Education at Sultan Qaboos University and, currently, a PhD candidate in Loughborough University, UK. Salman do a research on a domain of art and graphic design. He graduated from University of Technology, Sydney in 2005 with a master degree in Design. As a researcher, Salman interested in exploring the links between the creativity and graphic design and the ways of developing creative potential of graphic design students. He is very enthusiast to engage in academic activities such as conferences, journal publishing, design competitions, and lecturing internationally about Arabic fine arts practices. Salman works hard to develop himself as researcher, designer, and artist. 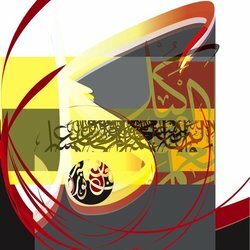 In art and design he interested in practicing in Arabic Calligraphy design, web design, and publications design, therefore, he have participated in many international exhibitions, workshops, and artistic activities. Presently he performs various art and design experiments using several approaches such as photography, painting, drawing, digital printmaking, and digital design. 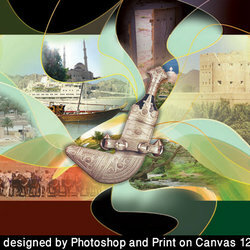 In his art/design Salman seeks to communicate with others in a variety of different mediums and techniques. The most important elements in his art are innovation, color harmony, simplicity, and attractive compositions.